Who are the Lizard People? Delusions are generally diagnosed as a symptom of a psychotic disorder. A delusion is defined as a fixed, false belief that is considered abnormal within the person’s culture. Nonetheless, it is not always easy to separate a delusion from a belief that has become acceptable within a certain subculture. This can be the case even with very bizarre beliefs. For example, the author David Icke has very successfully promoted the idea that the world is run by a conspiracy known as the Illuminati (a term dating back to earlier conspiracy theories). The Illuminati descend from an alien race of lizard people who came to Earth from another planet and are capable of changing shape and assuming human form. Most of the major political and economic figures in the world today, including George W. Bush, Hillary Clinton, and even the late Princess Diana, are actually considered to be lizard people. 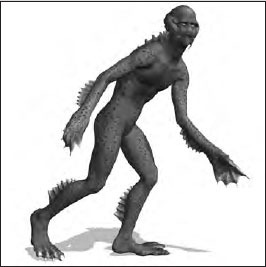 There are several different branches of the lizard people, including the Grays, the Adopted Grays, the Crinklies, the Tall Blonds, the Tall Robots, and the Annunaki. George W. Bush is reportedly a member of the Annunaki branch of the lizard people. Are these beliefs delusional? Most of us would consider these ideas to be false beliefs that are culturally abnormal. Nonetheless, David Icke has many followers and his books have sold very well. Within a certain subculture, therefore, these beliefs are not considered abnormal. Situations such as this illustrate how difficult it can be at times to determine what is and is not a symptom of mental illness. According to one conspiracy theory, prominent politicians and other leaders in the world are actually alien lizard people called the Illuminati (iStock).